The miscut discard filler is actually a bit more common than you'd think. This is due to its use on the commander precon sheets. 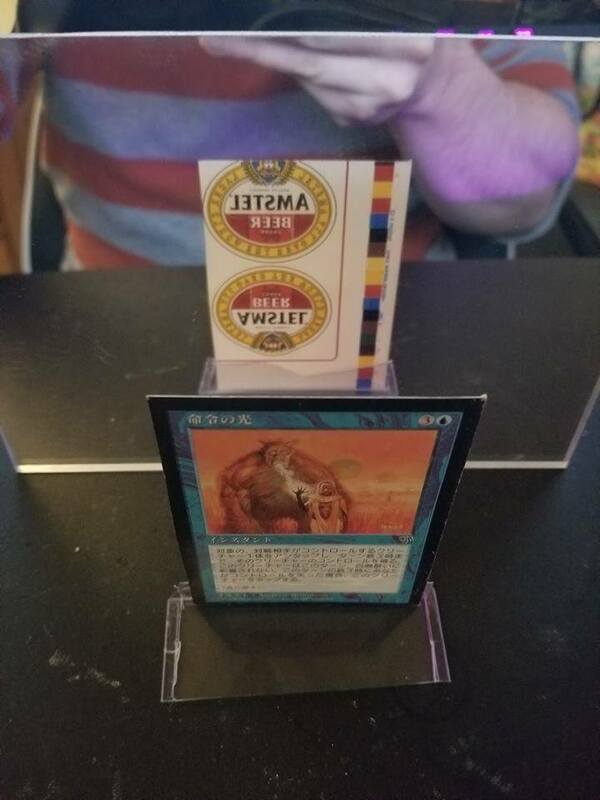 For some reason we've seen a very high number of fully miscut commander decks. The miscut alpha cut 4th though are freaking amazing. I actually picked them up from my LGS. That junk in the back is just for fun...lol. I'm not into fillers but it was most fascinating to watch — I had no clue how much variety there is. Thx for sharing! Thank you! I currently own 39 of the 59 fillers that Alexis has listed in the filler section of the Librarities. It's possible that it might be the most 'complete' filler collection in the world (which is my ultimate goal). The search has had both many happy and sad moments. Finally getting the white M was such a happy moment because it was one that had gotten away from me many years earlier. While it's not a filler today marks yet another collecting achievement that I'm so stocked to share! I'm so stocked to share! Nice, saw it up on Facebook! I currently own 39 of the 59 fillers that Alexis has listed in the filler section of the Librarities. It's possible that it might be the most 'complete' filler collection in the world (which is my ultimate goal). The search has had both many happy and sad moments. Finally getting the white M was such a happy moment because it was one that had gotten away from me many years earlier. While it's not a filler today marks yet another collecting achievement that I'm so stocked to share! Congrats Jason, 39/59 is pretty impressive, I have a very tiny collection compares to yours (32 with a bunch of extras) but I don't collect also any fillers after 2010. I have been lazzy with my collection and slowly lose passion over the years. I will ask another collector that I know of what's the size of his collection.